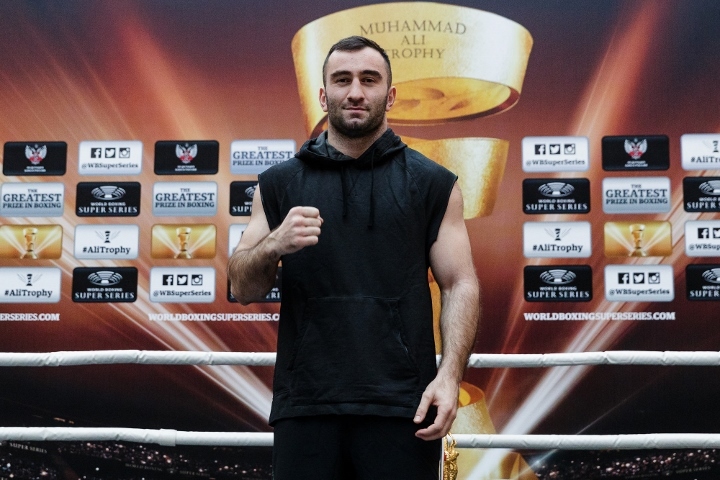 Former world champion Murat Gassiev could make his debut in the heavyweight division in June, according to the boxer’s Russian coach Vitaly Slanov. Gassiev will soon fly to the United States to train with head coach Abel Sanchez in Big Bear, California. “Now Murat is training at home. But after some time he flies to the United States, to the base in Big Bear. He holds a weight of about 100 kg (220-pounds) and tries not to let any weight go. I think he will be ready to debut as a heavyweight in June,” said Slanov to tass. In the summer of 2018, Gassiev suffered his first career defeat with a twelve round decision loss to Oleksandr Usyk. The loss, in the World Boxing Super Series tournament final, would cost Gassiev his cruiserweight belts under the World Boxing Association (WBA) and the International Boxing Federation (IBF). Usyk himself has officially jumped to heavyweight, and makes his debut in that division next month. In total, the Gassiev has a record of 26 victories (19 by KO) and one loss. IN OTHER NEWS: Russian boxer Maxim Vlasov told RIA Novosti that he will hold his next fight on May 19 in Krasnodar against Dominican Lenin Castillo, while the fight will take place at the light heavyweight limit. On the record of the 32-year-old Vlasov, 42 wins with three defeats, the boxer since 2015 was competing as a cruiserweight. In his last bout, last November, the boxer lost a twelve round decision to Polish puncher Krzysztof Glovacki in the quarterfinals of the second season of the World Boxing Super Series. Vlasov in February announced the desire to go down to light heavyweight. On the record of the 30-year-old Castillo is a tally of 20 wins, two losses and a draw.